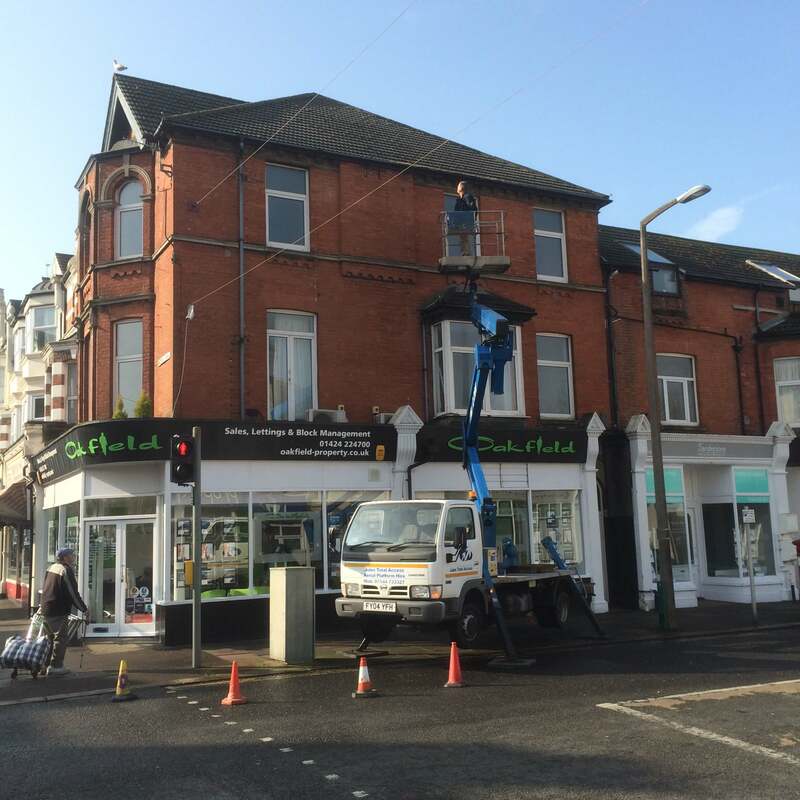 We recently cleaned all the guttering on a Sunday as it was a very busy cross road in Bexhill. 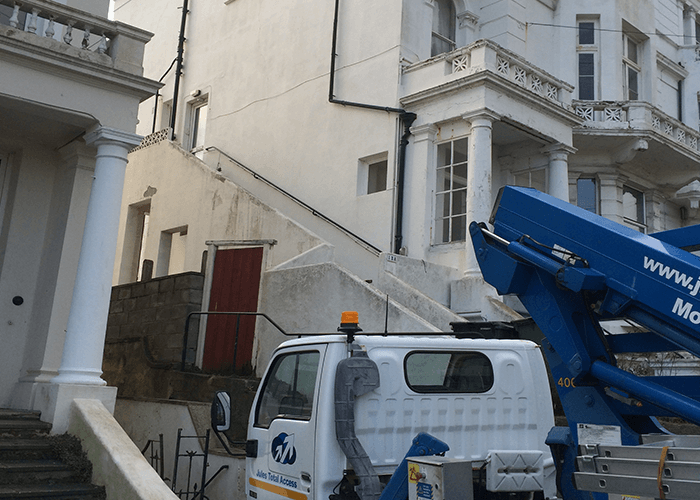 Jules Total Access supplied a cherry picker and one of our fully trained operators so we could fit a new down pipe to a building. 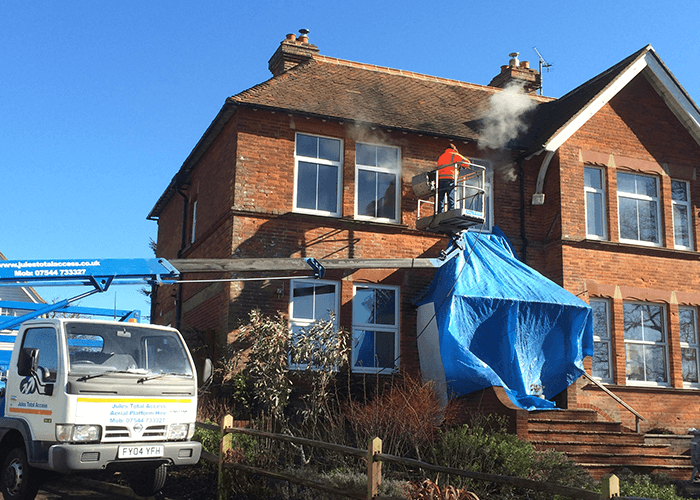 It was a tricky job because of the area and height but we managed it without any problems and the client was very happy. 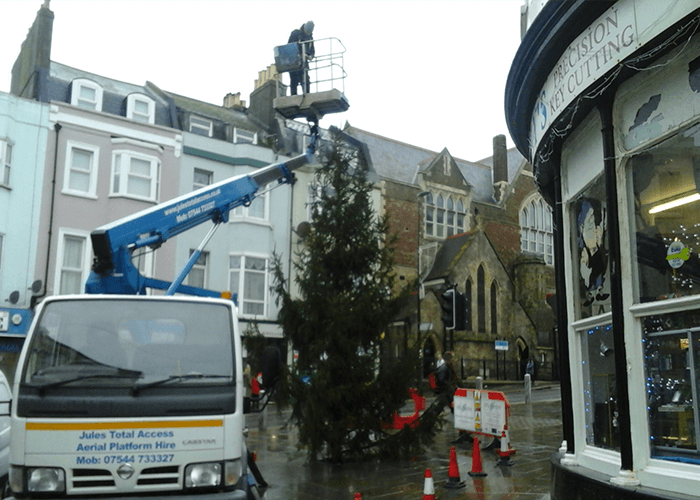 Jules Total Access supplied a cherry picker and one of our fully trained operators so the Christmas lights could be put up in a safe manner in Hasting. The job went smoothly and did not effect local business.